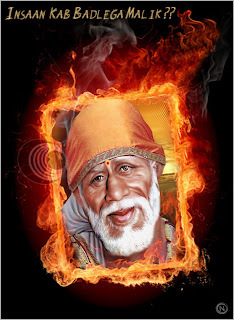 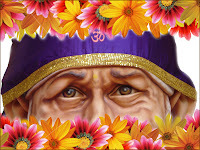 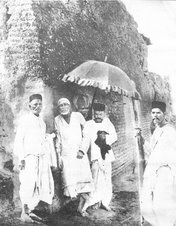 Here are some new beautiful images of Sai Baba of Shirdi. 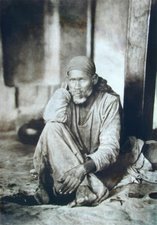 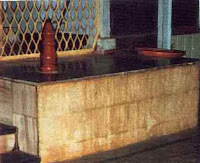 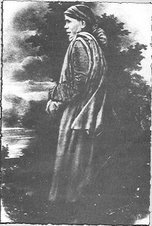 The first one is a high resolution picture of Sai Baba's idol, on Golden Throne, seated in Samadhi Mandir or Samadhi Temple. 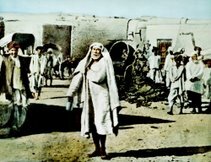 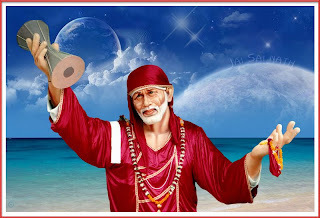 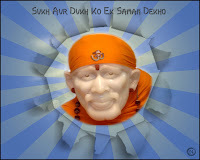 This can be a beautiful Wallpaper of Sai Baba and we can have Sai Baba's Darshan on our desktop as we switch on our computers. 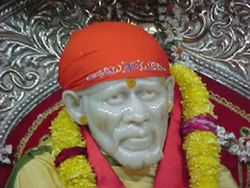 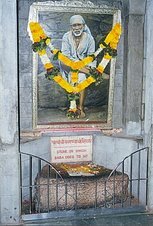 Samadhi Mandir (Temple), in the sacred land Shirdi. 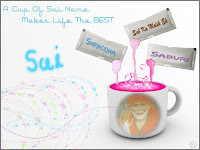 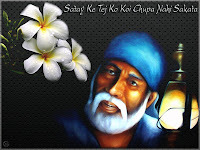 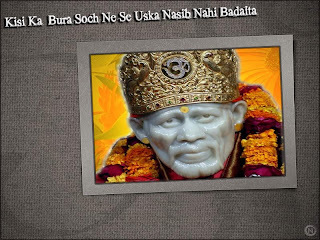 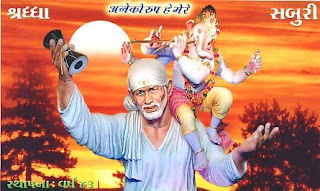 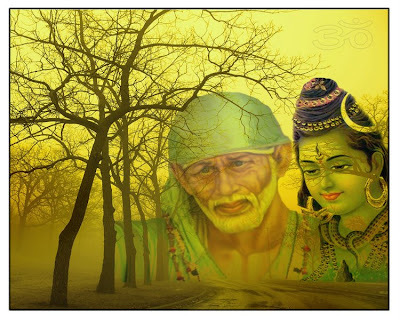 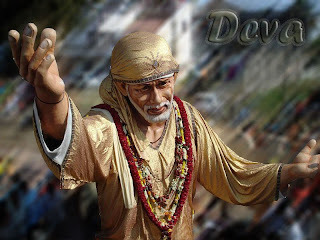 Note : This page will be frequently updated with the newest and best Desktop Wall Papers of Shri Sai Baba of Shirdi. 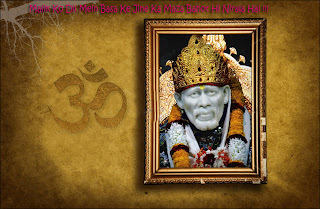 To download the wallpaper click on the image to enlarge the image. 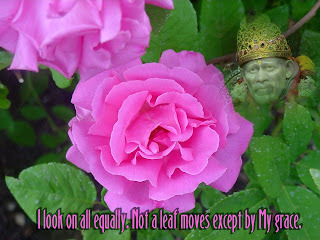 Then right click on the image and select save image. 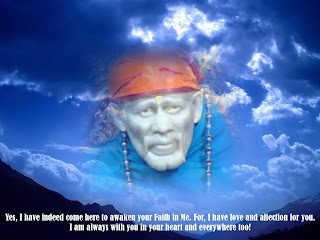 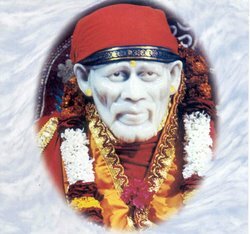 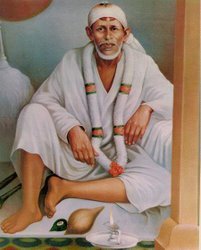 Thanks for showing Shirdi Sai Baba!s photos,and getting His divine blessing to me ,my family and others.